Concealment isn't possible with a full-size pistol, you might think, or at least not comfortable concealment. You would be wrong. 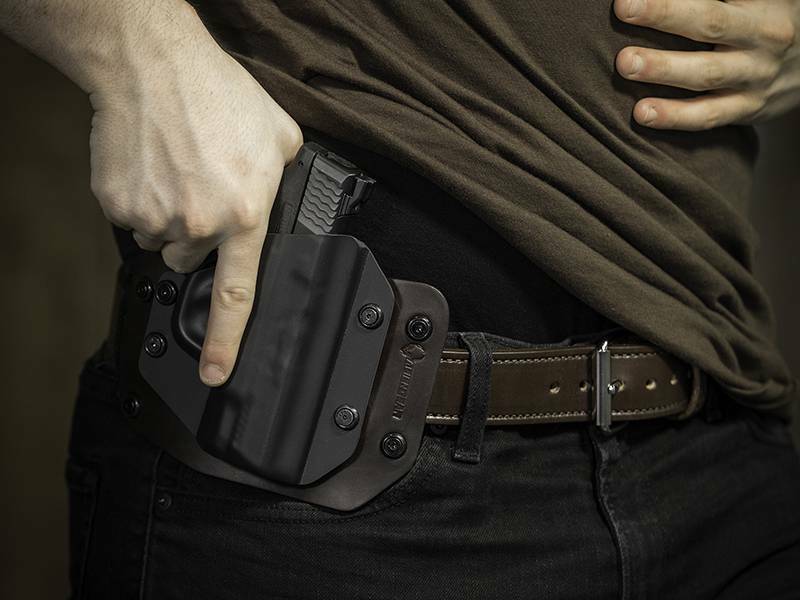 Alien Gear specializes in comfortable concealment, and every Rock Island 1911 A1 FS 5-inch gun holster model by Alien Gear is a perfectly capable Rock Island 1911 A1 FS 5-inch concealed carry holster as well as open carry, should that be your preference. Both Rock Island 1911 A1 FS 5-inch IWB holster and OWB holster models are available, all of which feature an adjustable retention shell. 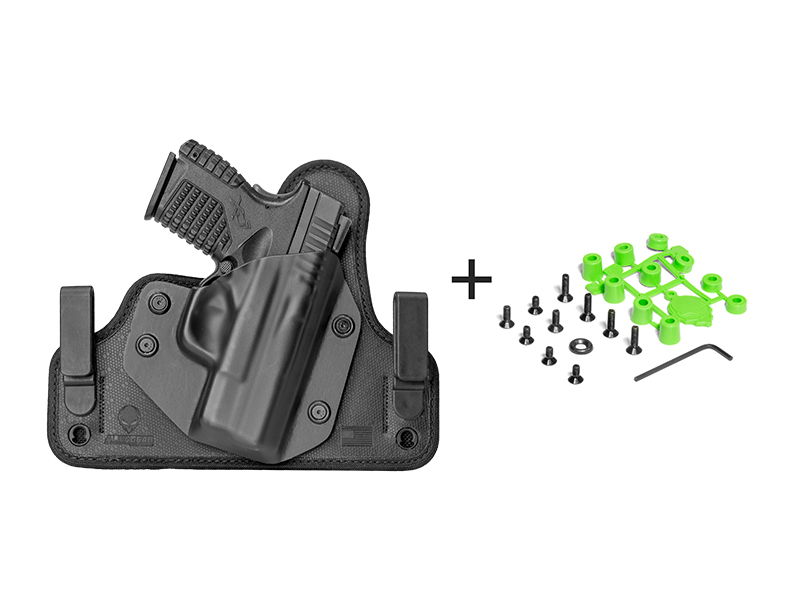 Should you select one of our IWB models, ride height and grip cant can be adjustable as well. 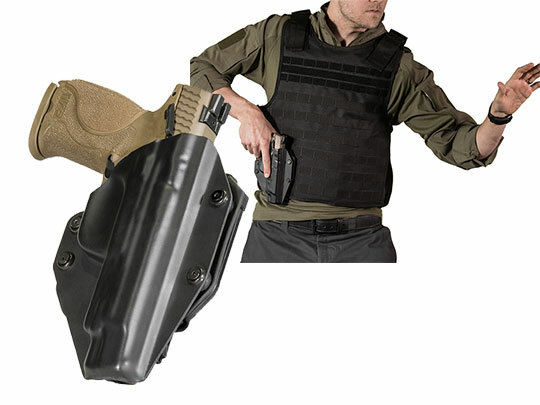 IWB models are the Cloak Tuck series. 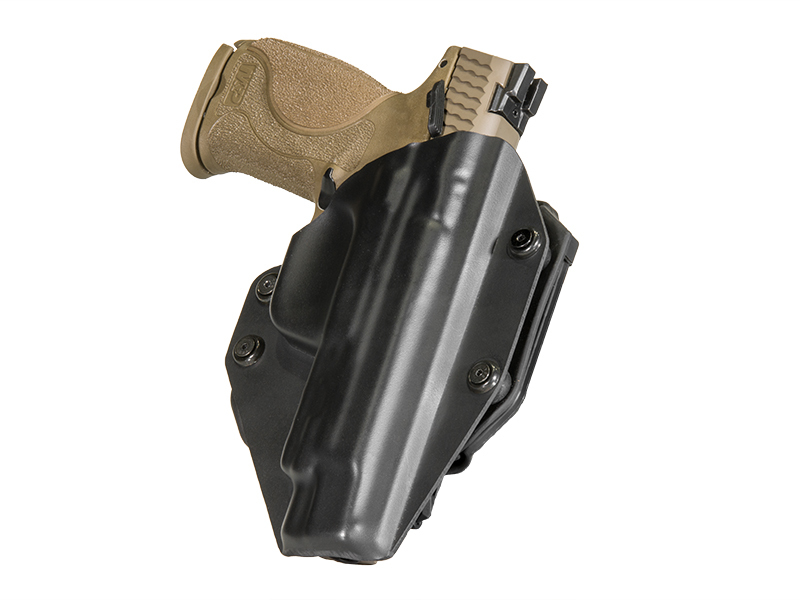 The original can be had in black or tan leather, or you can select the 3.0, the latest in multi-layer holster design. The 3.0 builds layers around a spring steel core, which maximizes the horizontal hold for a secure carry, but flexes for maximum comfort. You may forget you're wearing it. 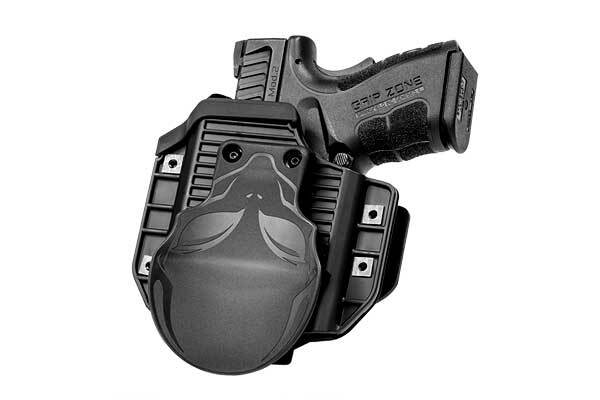 The back padding is moisture-proof neoprene, and the top surface is Alien Skin, a textured material that won't let a pistol jostle once holstered. OWB models are available as well, such as the Cloak Slide, a classic leather belt-slide holster. The Slide is made from the same leather stock as the Cloak Tuck, and is likewise available in black or tan. If you aren't convinced, you can always take a Test Drive. 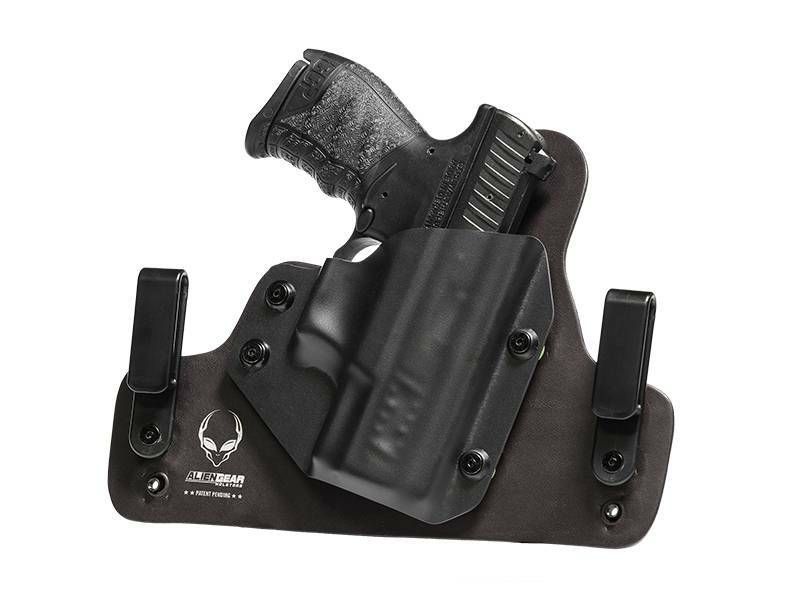 While purchase is required, Alien Gear offers a 30-day period where you can return the holster if you aren't satisfied for a full refund. The Test Drive is part of our Iron Clad guarantee. Included is a lifetime of shell trades, in case you replace your pistol but want to keep the holster. Simply send us the old shell with a form indicating what make and model you've replaced it with, and we send them to you on the house. 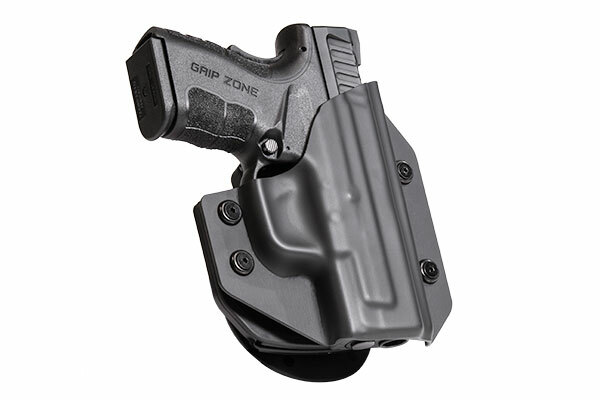 We also guarantee every holster for life against defect or damage. With that kind of guarantee, you can rest easy. Why not schedule your test drive today?